Desert West is auctioning off many unique artifacts from the American Southwest at their facility in Mimbres, N.M., on Jan. 25 and 26. The available lots represent a wide range of collectibles with everything from Native American jewelry to pottery and art. 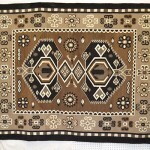 New Mexico is a premier location for finding traditional and authentic Native American craft work and Western memorabilia. 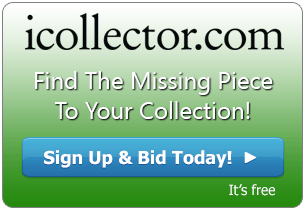 However, for those unable to make it out to the auction in person, iCollector.com provides a method of bidding on lots from your home computer. Here are some of the exciting lots coming to this auction in late January. One of the most intriguing items is a Navajo Sterling Silver Concho belt (lot #2061A). This belt features a large buckle and interspersed butterflies on a turquoise-dyed strap. Measuring a total of 41 inches, and featuring a 3-inch square buckle, this belt looks great on any occasion. 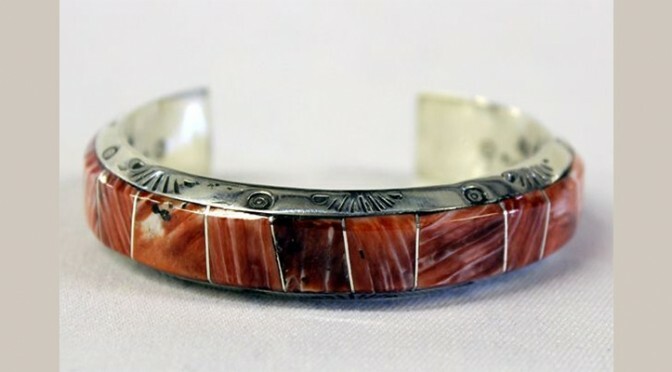 Another piece of interest is a Navajo Red Shell and Sterling bracelet (lot #2098A) featuring channel-set red shells on traditionally stamped sterling silver. Finally, turquoise collectors will really love this auction's selection of unique pieces. 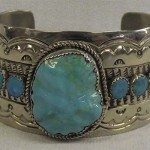 One particularly beautiful item is a Navajo Sterling and Turquoise bracelet (lot #2159A), which prominently displays a polished nugget cabochon in the center. Perhaps the most exciting pottery piece going to auction is a rare prehistoric bowl with parrot head handles (lot #2108A). The bowl boasts traditional Paquime designs with only slight paint wear. Also on the block is a prehistoric Casas Grandes stirrup pottery piece (lot #2064A). This truly unique item features two vessels connected in the middle by a passageway. In terms of a more contemporary look, this auction includes a tall jar from acclaimed artist Lupe Soto. The Mata Ortiz Polychrome Jar (lot #2000) is decorated with southwestern imagery in cream and rust on a burnished black background. 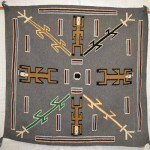 This auction will also feature a substantial range of art from the American southwest. Art collectors will be happy to see work like an original print by Phil Paradise titled "Moonlight Sonato" (lot #2166B), as well as an evocative piece of framed enamelware art by Jim Proctor (lot #2001A). Also available are original oil paintings by artists such as Paul B. Wilson and Van Muncy. Wilson's painting (lot #2003A) is titled "The Nile at Aswan" and depicts a nice desert landscape. The painting by Van Muncy, also a desert landscape, is titled "Our Lords Candle" (lot #2004A) and focuses on two yuccas in bloom. 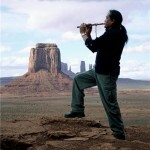 To see an entire listing of available lots, check online at iCollector.com.